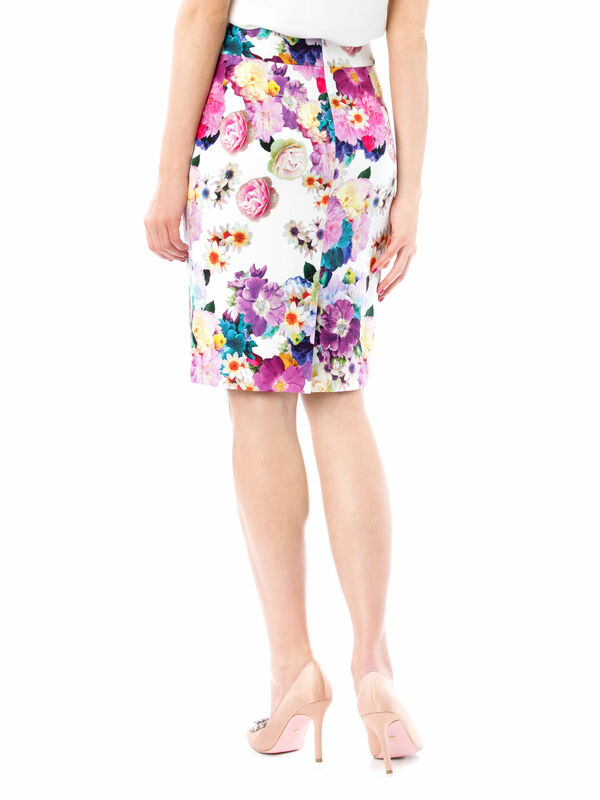 Summer Garden Skirt https://www.review-australia.com/au/summer-garden-skirt-multi/RE19SK062.RECRM010.html Elegant and bold, the Summer Garden Skirt is perfect for creating a polished summer look. 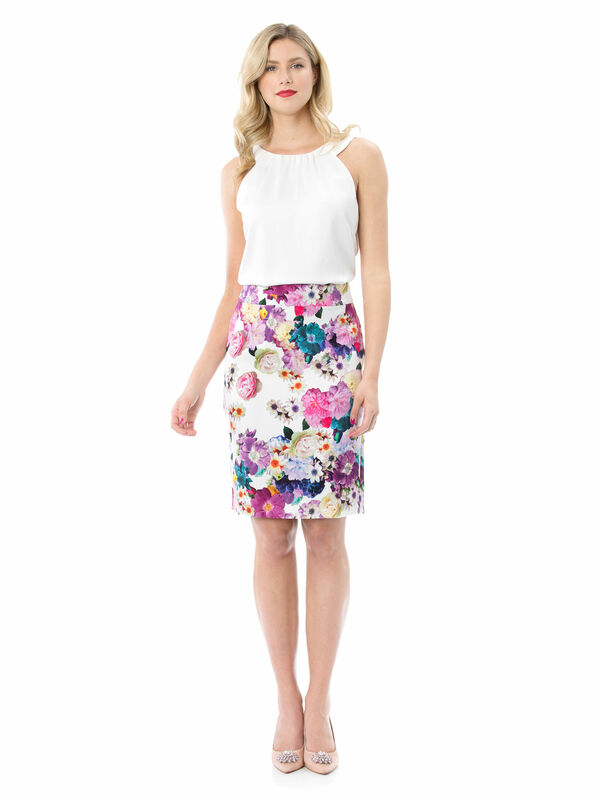 Made from light-weight material with a slight stretch, this bold pencil skirt in floral tones and cream can be paired with heels or flats for effortless sophistication. 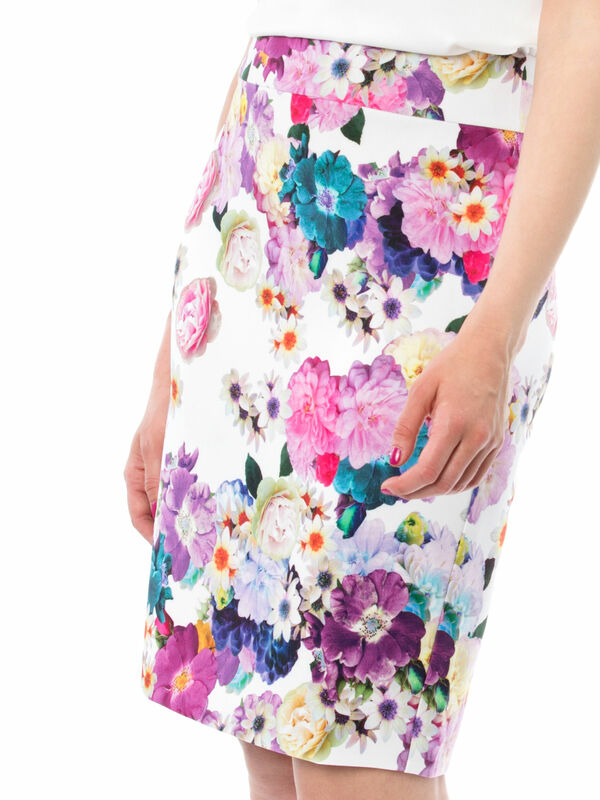 Summer Garden Skirt is rated 4.7 out of 5 by 25. Rated 5 out of 5 by reviewtragic from Beautiful, eye-catching skirt This is such a lovely skirt, I love the bright, bold print. The fabric is a little thicker/heavier than some of the other Review pencil skirts I have, but it goes with tops of just about any colour. The sizing is exactly the same as the other pencil skirts, same length and width, so if you are buying this online and you have other pencils, you shouldn't need to worry about the size. It's gorgeous, I love it so much. Rated 5 out of 5 by DIMPI Bhandari from Fabulous and Great The summer Garden skirt is perfect for creating a Awesome polished summer look.i have shop this skirt from Dfo Review.the skirt is made with light weight material and very comfortable in wearing and has little stretch.Good to wear in parties and office also.this skirt can be wear with any paired of heels and flats. 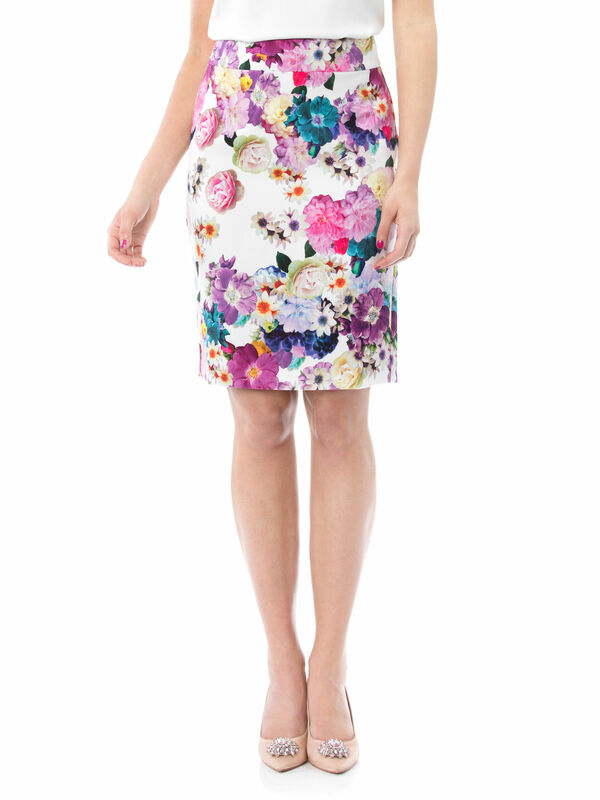 We really loved to purchse the dresses and skirt. Me and my daughter love Review. Rated 5 out of 5 by RachelG from Gorgeous skirt I purchased this skirt a few weeks ago from the outlet store. So, good price, but more importantly, great fit, with a gorgeous fabric which has enough stretch to make this just so easy to wear. Wish I’d been able to buy several in different colours. Rated 5 out of 5 by Melamom86 from Gorgeous colors and great fit! I bought this skirt 2 weeks ago and it’s become a fast favorite! With so many colors in it I have lots of top options to choose from. Fits perfect and is really comfy and easy to wear. Always love my Review purchases! Rated 4 out of 5 by Reviewgirl123 from Bright and fun I love the print on this skirt, you can match it with lots of different colours. The fabric is a little different, it’s quite stretchy but still gives that excellent review fit. Rated 3 out of 5 by Lozzi89 from Stunning fabric and pattern This is a beautiful skirt - nice fabric and stunning floral pattern and colour. However, I have had two with faulty zippers that just don't go up past the top band.